In shades of pink, lilac and purple the outstanding Vanda Orchid makes a dramatic statement in this contemporary arrangement. Container differ from the one illustrated. 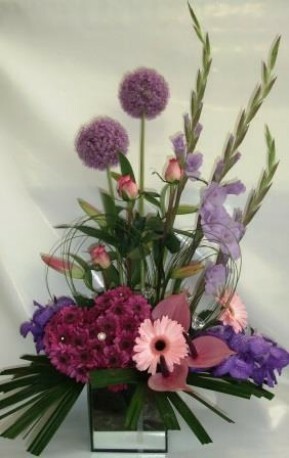 Flowerscene are delighted to offer this product for delivery in Aberdeen and surrounding areas.